US-based startup Rancher Labs Inc, which is developing open source container infrastructure software, has raised $10 million in Series A funding round from early-stage venture capital firm Mayfield and Nexus Venture Partners, according to a press release. The startup will utilise the funding to bolster its product development efforts and expanding the company's engineering and development teams. Rancher is developing solutions for container infrastructure, including networking, load balancing, monitoring and storage. "Containers are quickly becoming the de-facto large-scale production platform for application deployment...Our goal is to provide organizations with the tools needed to take full advantage of container technology. By developing storage and networking software purpose-built for containers, we are providing organizations with the best possible experience for running Docker in production," said Sheng Liang, co-founder and CEO of Rancher Labs. The company currently has two offerings namely Rancher and RancherOS. While Rancher is its software platform for orchestrating Dockers on any infrastructure, RancherOS is a minimalist operating system designed to run Docker exclusively. Jishnu Bhattacharjee, managing director at Nexus Venture Partners, said, "Software containers have dramatically changed the way DevOps teams work, becoming an essential piece of today's IT infrastructure. The team at Rancher Labs recognized the technology's potential early on, along with the pain points associated with it." Although it is an India-focused VC firm, Nexus also invests in US-based startups through its Silicon Valley based office. In most cases, the US-based tech ventures it backs have an India footprint either through a software unit or counts an Indian origin co-founder. Rancher seems to be an exception. 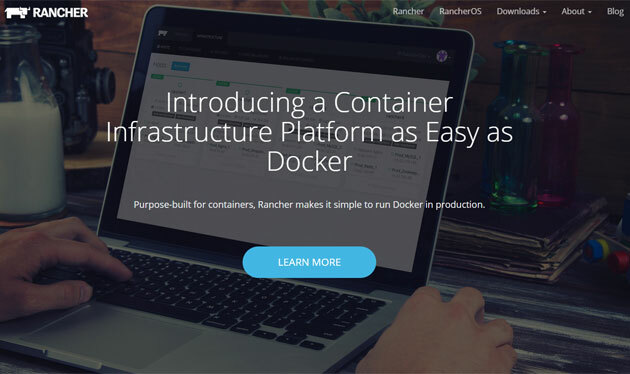 Rancher was founded in September 2014 by the team behind Cloud.com, maker of the Apache CloudStack software, which was acquired by Citrix in 2011. The founding leadership team includes Sheng Liang as CEO, Shannon Williams as vice president of sales and marketing, Darren Shepherd as chief architect and Will Chan as vice president of engineering. Mayfield Fund LLC. Nexus India Capital Advisors Pvt. Ltd. Rancher Labs Inc.